Currently, Wendy Andhika Prajuli is lecturer at Department of International Relations, Binus University. He was a Taiwan Scholarship recipient. He obtained his second master’s degree from Graduate Institute of International Affairs and Strategic Studies (GIIASS), Tamkang University, Taiwan, Republic of China. Wendy holds his undergraduate degree on International Relations from Muhammadiyah University of Yogyakarta and his first master’s degree on International Relations from University of Indonesia. He was Program Officer at Institute for Defense Security and Peace Studies (IDSPS), Jakarta in 2009-2012. Tamkang University, Taiwan, M.S.S. (International Affairs & Strategic Studies), 2011. University of Indonesia, Indonesia, M.Si. (International Relations), 2006. Muhammadiyah University of Yogyakarta, Indonesia, S.I.P. (International Relations), 2003. 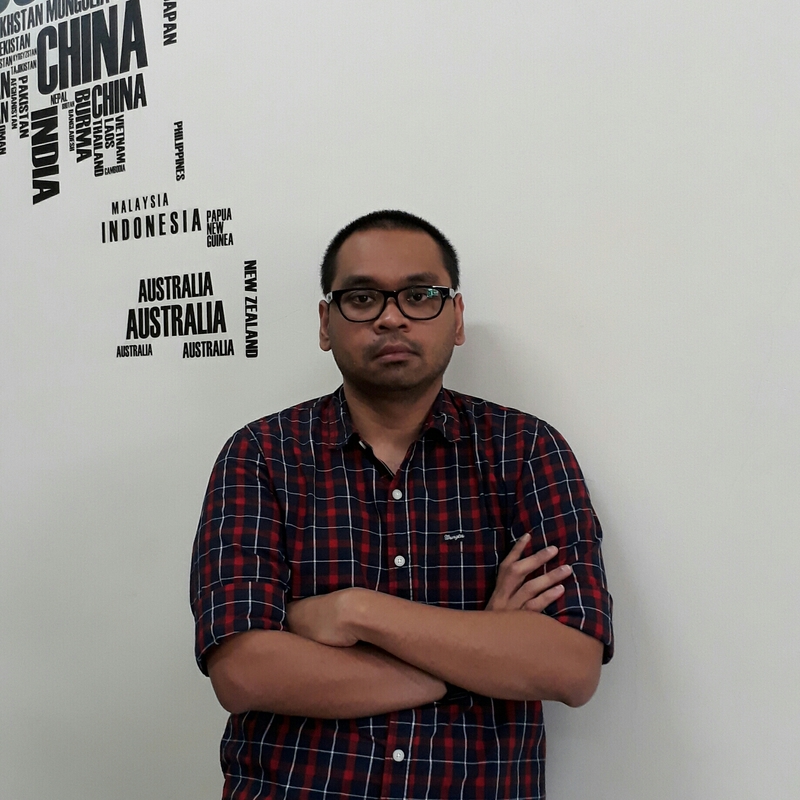 Junior lecturer at Bina Nusantara University, Jakarta, 2012-present. Program officer at Institute for Defense Security and Peace Studies (IDSPS), Jakarta, 2009-2012. Editor at Center for East Asian Cooperation Studies (CEACoS), University of Indonesia, Jakarta, 2007. Teaching assistant at University of Prof. Dr. Moestopo (Beragama), Jakarta, 2006-2009. Teaching assistant at Universitas Pembangunan Nasional “Veteran”, Jakarta, 2006-2008. Taiwan Scholarship Program from Taiwanese Ministry of Education, 2009. (with Mufti Makaarim A., Beni Sukadis, Mujtaba Hamdi, & Edwin Tri Prasetyo). (2012). Dibungkam Atas Dalih Keamanan! Catatan Situasi Hak atas Informasi dalam Isu-isu Keamanan Nasional di Indonesia 2011. Jakarta: IDSPS. (with M. Faisal Karim). Memahami ASEAN: Sebuah Pengantar. Forthcoming. (with Fitri Bintang Timur & Mufti Makaarim). (2009). Almanac on Human Security and Security Sector Reform 2009. Jakarta: IDSPS. (with Sri Yunanto, Papang Hidayat, Mufti Makaarim A., Fitri Bintang Timur, & Dimas Pratama Yudha). (2009). Panduan Pelatihan Tata Kelola Sektor Keamanan untuk Organisasi Masyarakat Sipil: Sebuah Toolkit. Jakarta: IDSPS & DCAF. Prajuli, W. A. (2015). China Threat Perceptions in Southeast Asia: Problems of Bilateral Interactions. Global-Jurnal Politik Internasional, 15(1). Revised version presented at 2nd International Conference on Business, International Relations and Diplomacy (ICOBIRD). Jakarta, 2013. Andhika, W. (2015). Amandemen Pasal 9 Konstitusi Jepang: Mungkinkah Berhasil Dilakukan?. Jurnal Hubungan Internasional, 2(1), 1-6. Prajuli, W. A. (2012). Islamic Parties, Islamic Radicals and Democratization in Indonesia. Jurnal Studi Hubungan Internasional, 2(1). This article also presented at Annual Conference on Taiwan’s Southeast Asian Studies. Danshui, 2011. (2017). Islamic Ideas versus Secularism: The Core of Political Competition in Indonesia. The Newsletter, 76 Spring 2017. (with Moch Faisal Karim). (2017). 50 years of ASEAN dealing with major powers: Indonesia’s perspective. IAPS Dialogue, 24 August 2017. (with Nur Alia Pariwita). (2015). Between Fear and Hope on Japan’s New Defence Policy. Published on East Asia Forum. 8 August 2015. (2006). Jepang Pasca Koizumi dan Dinamika Kawasan Asia Timur. Published on national newspaper, Kompas. (2008). Indonesian National Security Bill. IDSPS. Basic Short Course on International Humanitarian Law. Yogyakarta, 10-14 October 2011. Workshop on Teaching and Researching Southeast Asia. Yogyakarta, 8-10 May 2017.
International Conference on Business, International Relations and Diplomacy. Jakarta, 2013. Gwangju Asia Forum. Gwangju, 2013. Annual Conference on Taiwan’s Southeast Asian Studies. Taipei, 2011. Jakarta International Defense Dialogue (JIDD). Jakarta, 2014. Shangri-La Dialogue. Singapore, 2012 & 2013. Seminar ‘State and Intelligence Relations in Indonesia 1945-2004’. Jakarta, 2008.
International Forum ‘Regional Security Challenges: Perspective from Taipei’. Jakarta, 2007. 6th CSCAP General Conference. Jakarta, 2007.